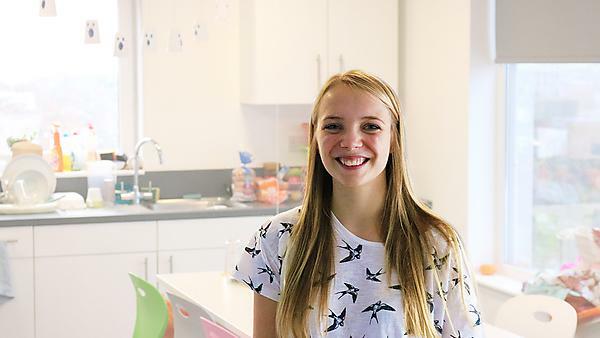 "I've made so many new friends living in halls, it's the best way to meet people when you start university." What were the main reasons for choosing the University of Plymouth halls of residence? The excellent support offered by the Resident Assistants (RAs) and the opportunity to meet new people, I wanted to live in halls rather than live at home as I am from Plymouth. How did the University of Plymouth support you in making this decision? The open days and applicant days were really good as they showed us the halls and talked us through the best places to live. They talked about scholarships on the day and how to apply for accommodation, everyone was really helpful. I spoke to current student ambassadors who told me where they lived and what their experiences were like in halls. They offered great advice and were really supportive; it was good to get their opinion. Were safety and support of our Residence Life Team relevant factors which you took into account when choosing halls? Yes, the support offered by the RA’s was a big part of the reason I chose to move into halls. What advice would you give to a first year student looking for accommodation? Look around at all of the halls and get opinions of the students who actually live in them. I would recommend halls over private housing as you get more support and get to become part of the hall's community. We all went out together in our halls during welcome week and have regular film night’s which helped us all to settle into University. Have you got any tips for moving into halls? Don’t spend all your time in your room. Spend time in the living area so you can get to know you flatmates. Join Residence Life on social media for events, news and competitions on our Facebook and Twitter pages. You can also join your official hall Facebook groups to meet the community and keep up to date with news and events.